Aleia McCord: Aleia manages W2E's educational programs and microbiology research activities. She is a PhD candidate in the Nelson Institute for Environmental Studies Environment and Resources program at the University of Wisconsin-Madison. Aleia studies the sustainability of micro-scale biogas systems in East Africa. She received her undergraduate degree in biology from Grinnell College (2003) and served in the Peace Corps in Ghana as a natural resource management volunteer (2003-2005). Sarah Stefanos: Sarah oversees financial management and W2E's agricultural programs. Sarah is a PhD student in the Nelson Institute for Environmental Studies' Environment and Resources program and in the Sociology department at the University of Wisconsin-Madison. She studies sustainable agriculture/energy and agricultural policy and development in East Africa. Sarah received her MA from American University in Cairo, where she also worked for the United Nations High Commission for Refugees. She received her undergraduate degree in molecular biology from the University of California, Berkeley. Vianney Tumwesige: Vianney supervises the air quality research and leads W2E's community engagement programs. He is a PhD student at the University of Aberdeen in Scotland, where he studies household digesters. He began biogas research as an undergraduate at Kyambogo University in Uganda and later with the Centre for Research in Energy and Energy Conservation (Makerere University). Vianney co-founded Green Heat (U) Ltd and W2E to meet the growing demand for biogas feasibility studies, system design, education, and digester construction in Uganda. He has constructed over 110 biogas systems across the country. Vianney recently received Uganda's top environmental honors, and the World Wildlife Fund Young Achiever Award for his ongoing work with renewable energy. Rebecca Larson: Rebecca is an Assistant Professor in the Biological Systems Engineering Department at the University of Wisconsin, Madison. She received her PhD from Michigan State University in Biosystems Engineering, having also received her undergraduate degree and Masters degree from Michigan State University. Larson's specialization in manure management, treatment of agricultural waste, and runoff solutions has made her an important lead in W2E technology innovation research. Dorothy Tusubirah: Dorothy oversees project management, community engagement, research, and end-user education programs. Dorothy received her BS from Makerere University in 2012, and has worked on a variety of sustainable energy projects throughout Uganda. Dorothy worked for the Centre for Research in Energy and Energy Conservation for many years, where she studied improved cooking stoves and biogas. Miriam oversees the microbiology research for W2E. She received her undergraduate degree from Makerere University in Kampala in 2014. Prince manages W2E's file and data storage and administers monthly monitoring surveys to our community partners. He received his undergraduate degree in computer science and IT management in 2015. Sharon coordinates W2E's kitchen monitoring programs. She measures particulate matter emissions, SO2 emissions, and administers water boil tests to assess burning efficiency. Phillip assists with sample collection and delivery, driving, and logistical support for team members. John provides security services and coordinates seasonal casual laborers at the W2E field test site in Mpigi. Josephat directs the agricultural slurry and fertilizer research program. He is a MSc (Agriculture) candidate at Makerere University. Doreen works with the agriculture team to monitor soil health. She also specializes in mushroom cultivation. Doreen received her undergraduate degree in agriculture from Makerere University in Kampala, Uganda in 2014. Daniel Nzamuye: Daniel worked as a laboratory assistant and agricultural intern. He graduated with a degree in Environmental Science from Makerere University in 2014 and continues to lend his assistance to the W2E team when he is available. Josh Mutebi: Josh worked on end-user education and also supports microbiology and agriculture teams. He received his undergraduate degree in business from Uganda Maryrs University in 2014. Joshmoved to Nairobi to pursue his musical career in 2015. Anna Meding: Anna served as the W2E Research and Communications Director for two years. She received an undergraduate degree from the University of Wisconsin-Madison in Environmental Studies and German in May of 2015. 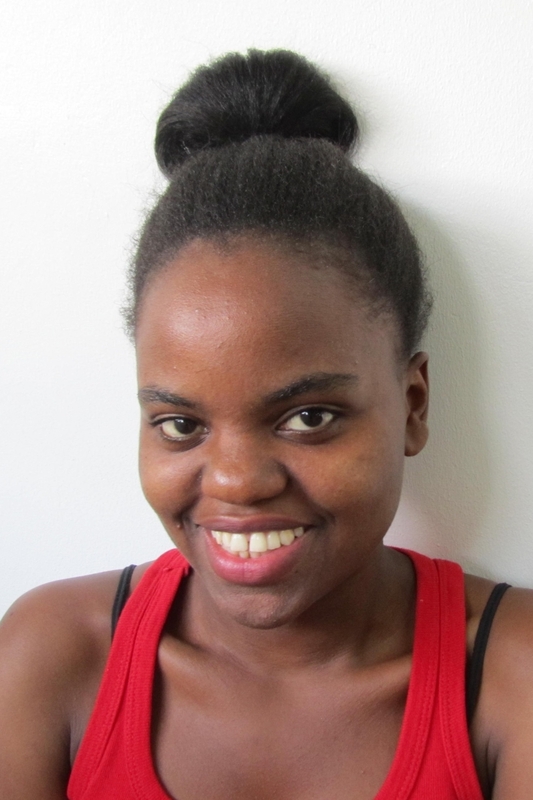 Ritia Esmie: Ritah is a trained microbiologist who assisted our microbiology team during intensive sampling periods.